This lab is a warm-up exercise. Are you comfortable with Java? Can you declare variables, use for-loops, while-loops and if-statements? Do you know the difference between an array and an ArrayList? Can you use "extends" or "implements" to implement a subclass or interface? Do you know what HashMap means, and could you iterate through the keys of the hash map? If you're not confident with Java, then you might consider watching some of the introductory courses on Lynda.com. The course "Java Essential Training" (7hrs) by David Gassner starts from the basics and explains most of the features of Java. 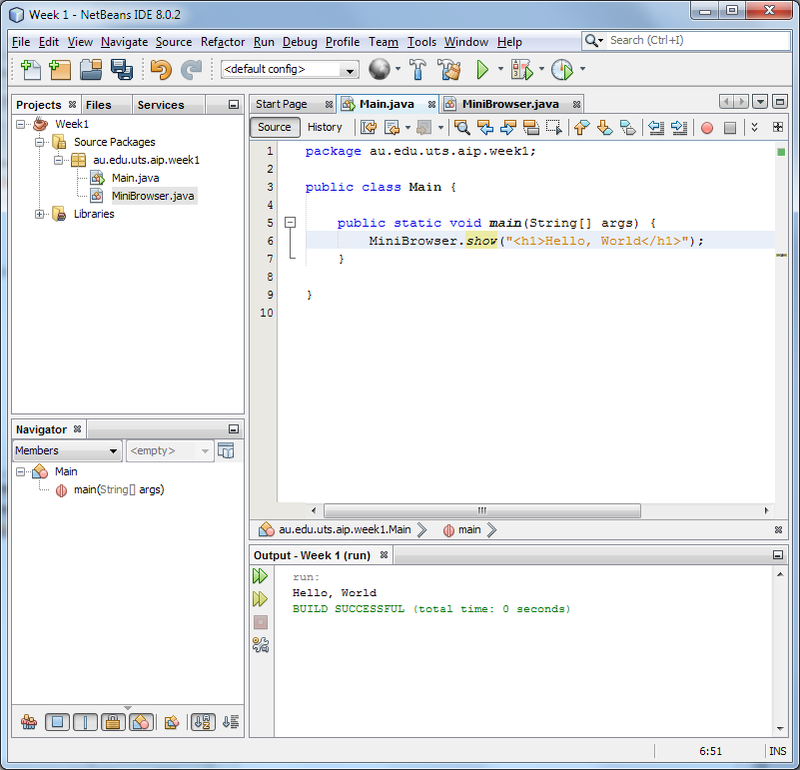 The course "Up and Running with Java" (3hrs) is a bit more advanced. It is more of a refresher if you have forgotten Java. If you'd prefer to learn through challenges and puzzles, you might try CodingBat. If have your own laptop or computer, then you may use this week to set up your environment. 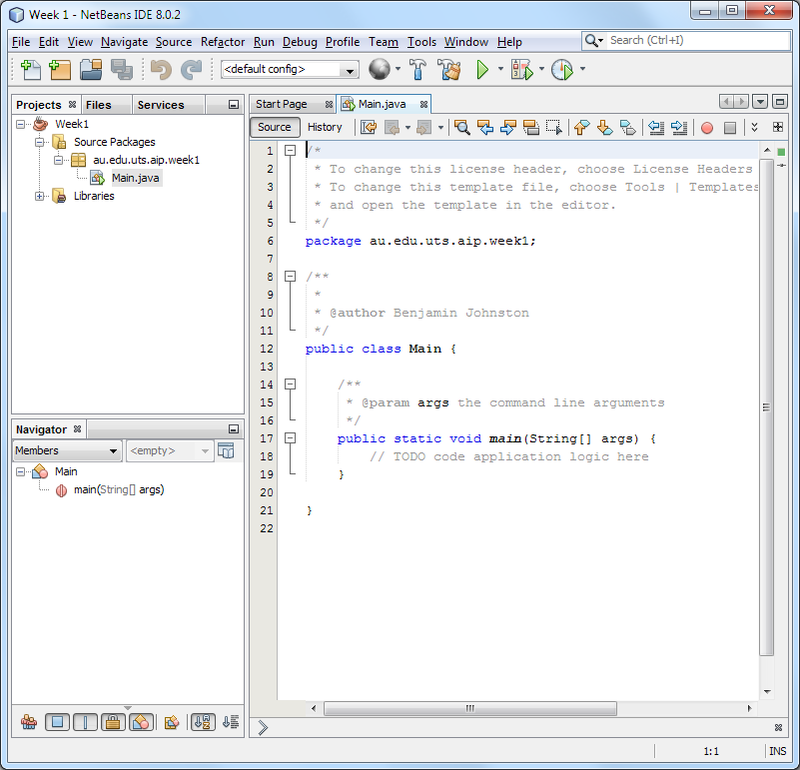 You can use any IDE in this course: NetBeans, Eclipse, IntelliJ or even a simple text editor. 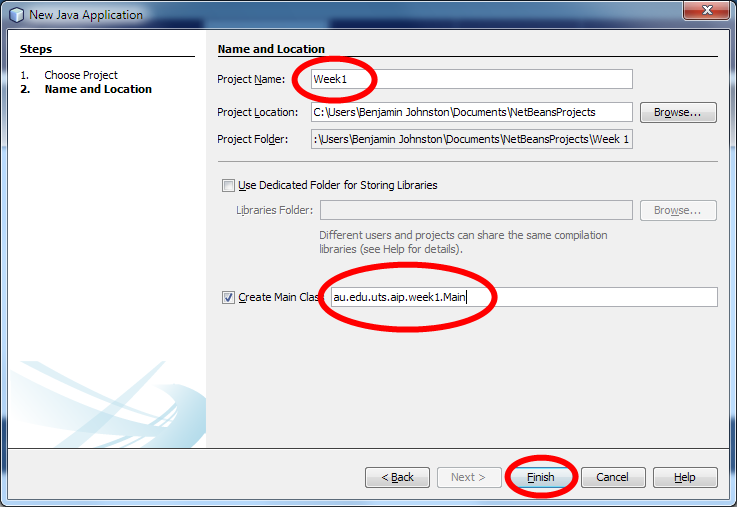 However, all of the weekly activities are based around NetBeans. 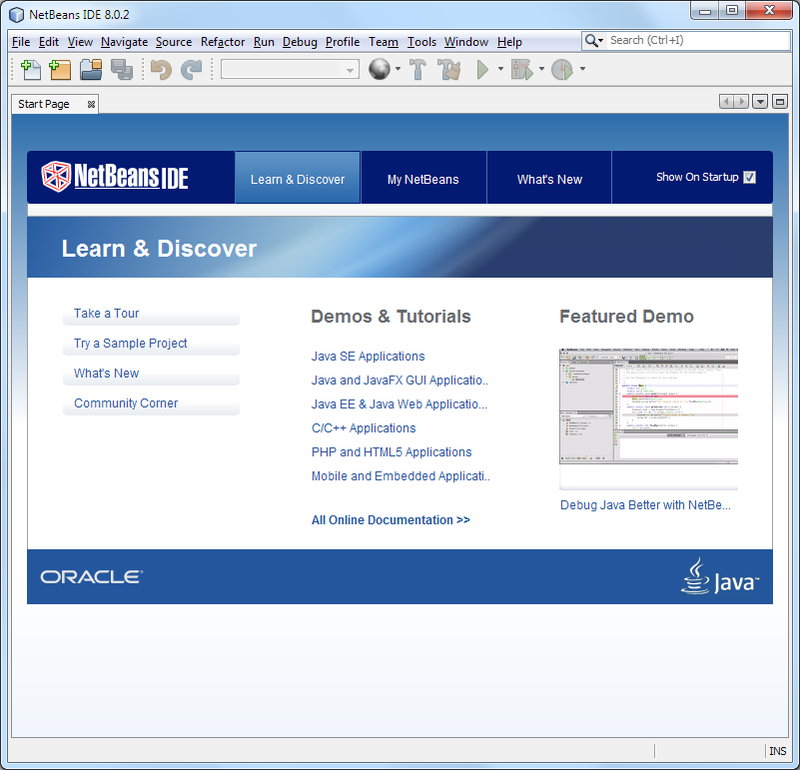 We will be using the Java EE edition of NetBeans 8.1. 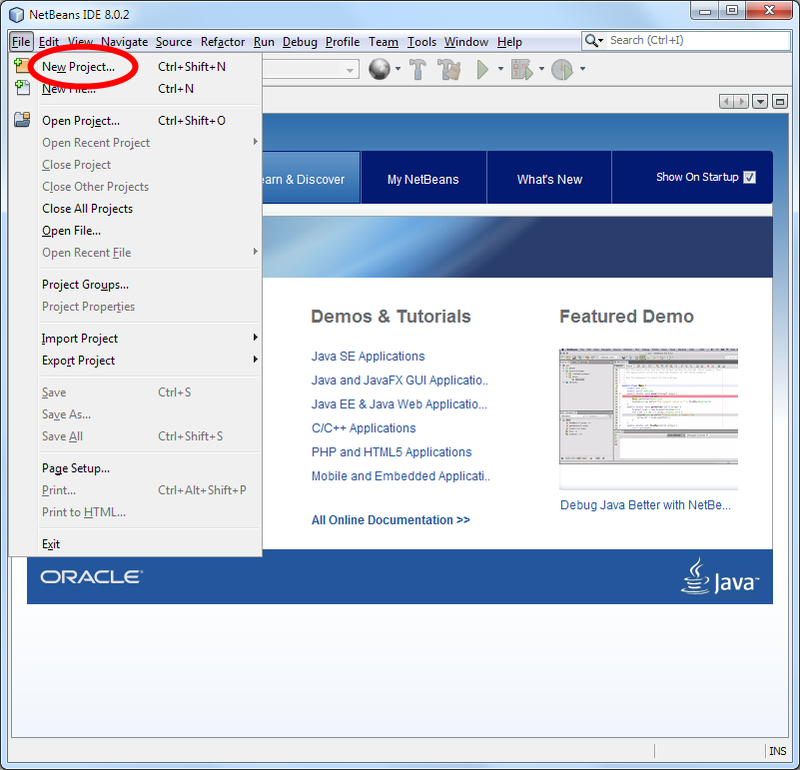 When you install the Java EE edition, it will give you the option of installing the GlassFish 4.1.1 application server. Please make sure you select it, as GlassFish is the basis of much of this course. If you are using a lab computer, these have already been installed for you. Just log in to Red Hat Linux. 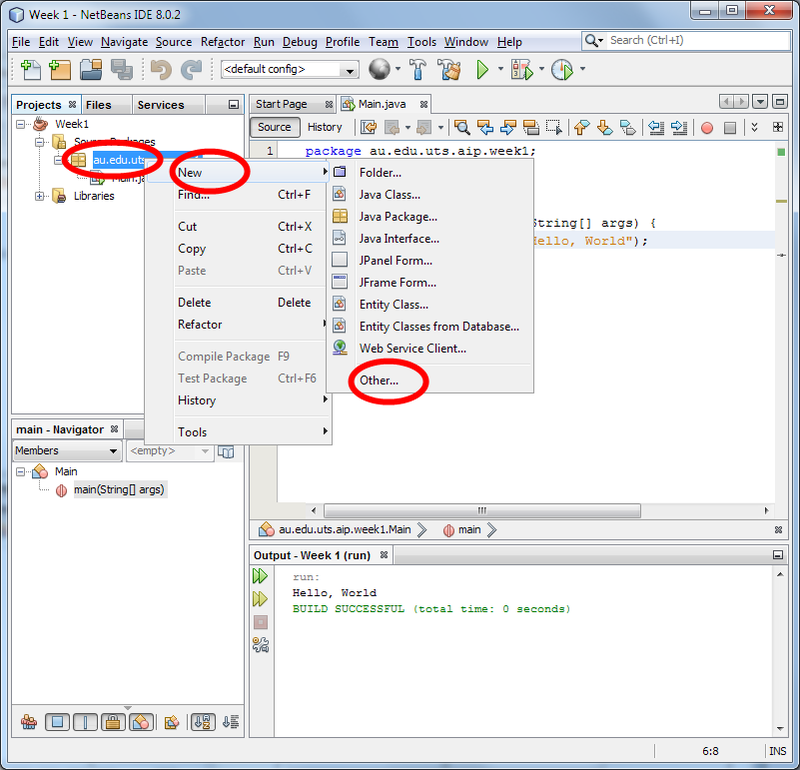 You will find NetBeans in the "Programming" menu. 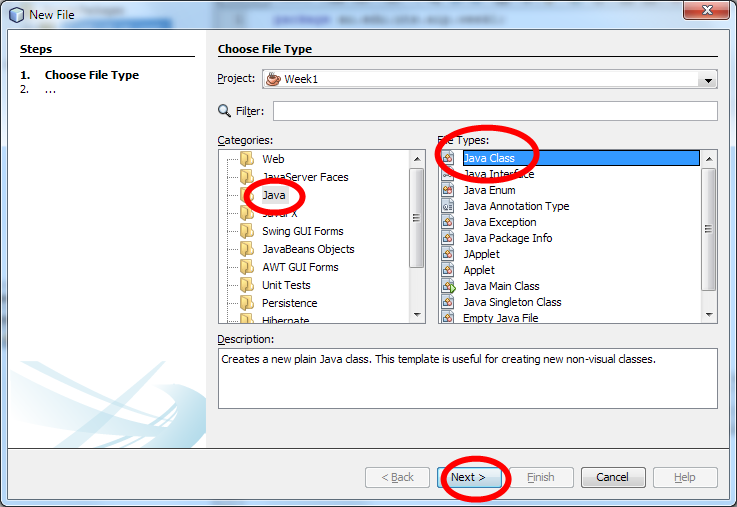 For this exercise, you'll experience the basic steps in writing a Java program. 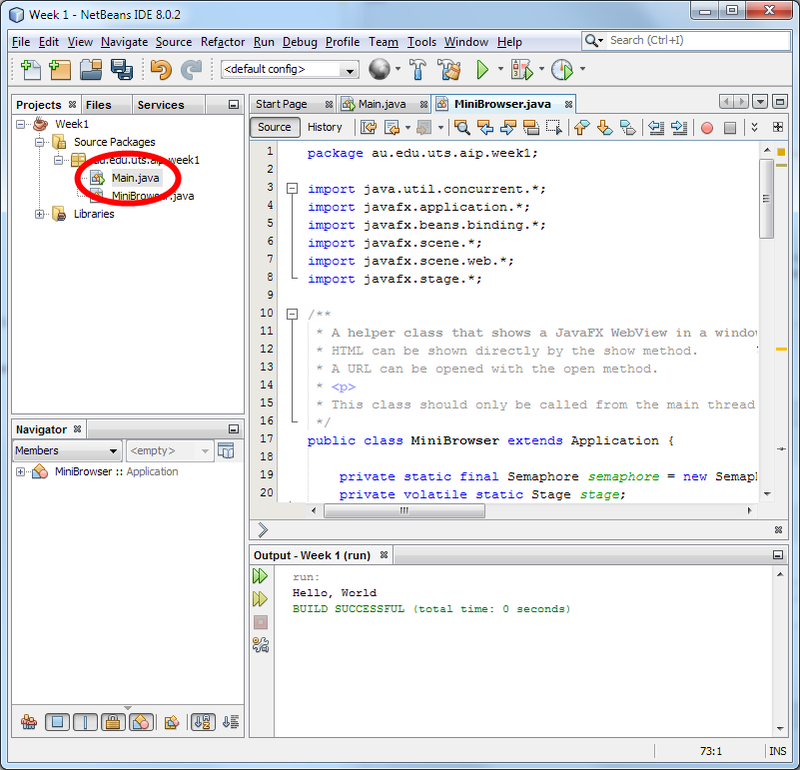 In an ordinary Java program, the main method is run when Java starts. 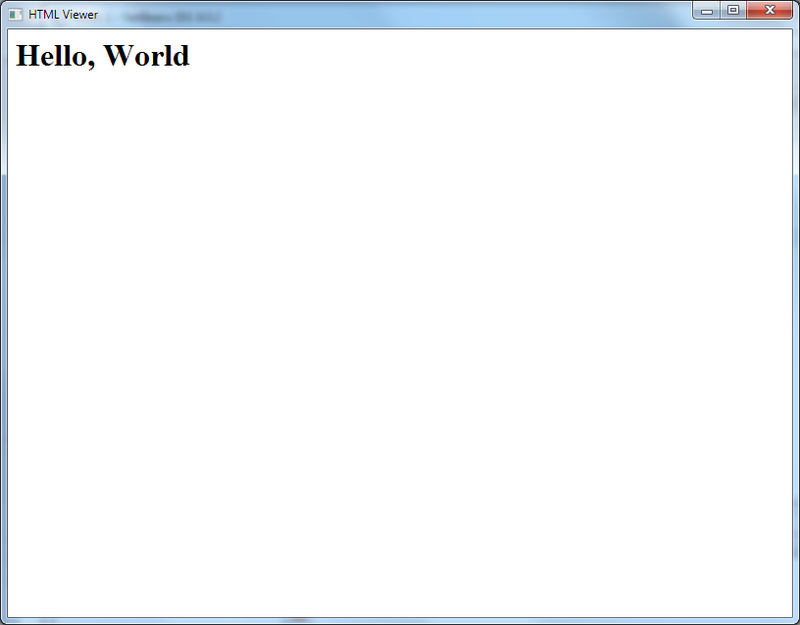 So, this program will output to the console the text "Hello, World". So, when you click on the run button, output of the program will be shown in an output window. 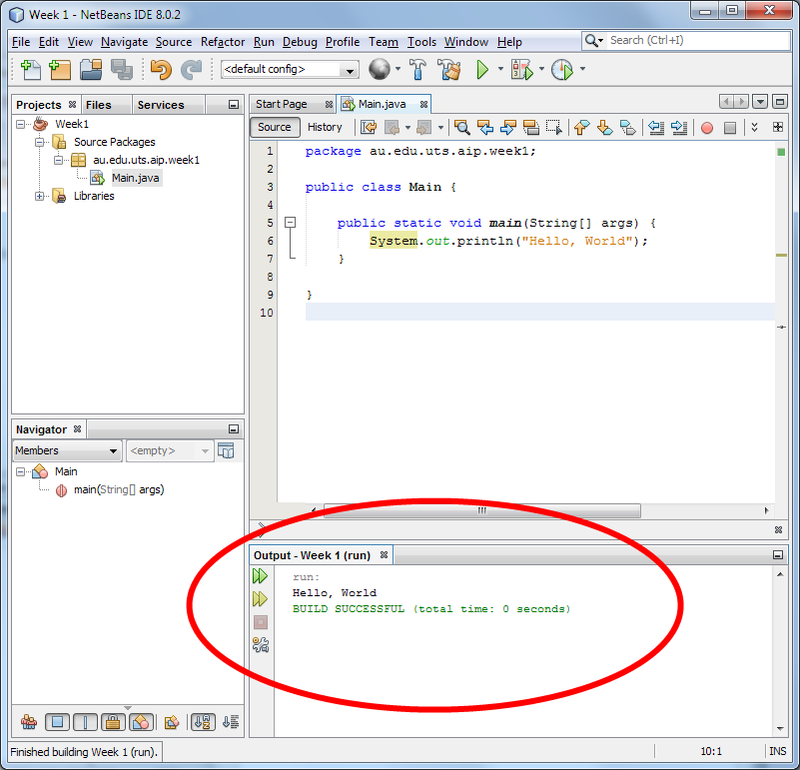 You can see that our Java program has output the text "Hello, World" (without the quotes) as we would expect. Outputting text to a console is not very interesting. Instead, let's try to generate some HTML. First, we need a HTML viewer. There's a Webkit-based web browser built into Java. To use it, we need some code that will show a window. 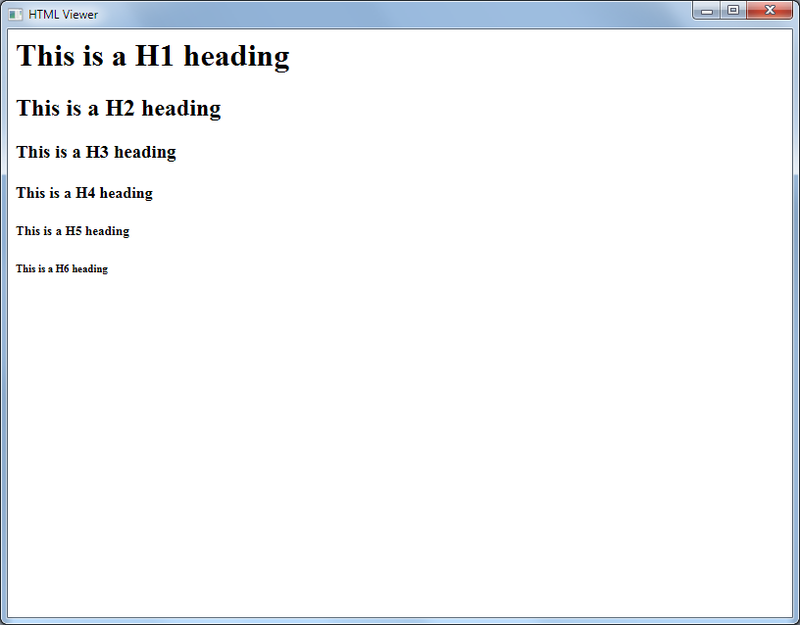 * A helper class that shows a JavaFX WebView in a window. * HTML can be shown directly by the show method. * A URL can be opened with the open method. * This class should only be called from the main thread. * Show HTML in a window. * This method blocks until the user closes the window. * Open a URL in a window. * Starts the JavaFX platform. * The current thread is blocked until JavaFX has started. * When the current thread ends, this will be detected and JavaFX will be shut down. * The JavaFX start method. 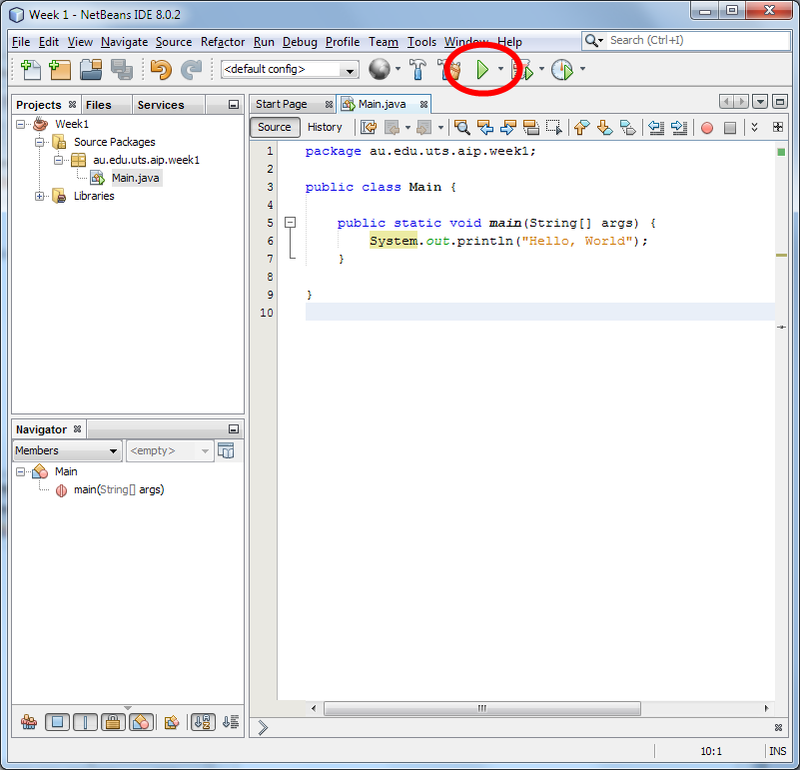 * Once called, the semaphore is released to notify the waiting thread that JavaFX is ready. Again, the code is a bit complex. However, you don't need to worry about how it works. We will use it in a moment. At this point we can use the MiniBrowser class that we created. Excellent! 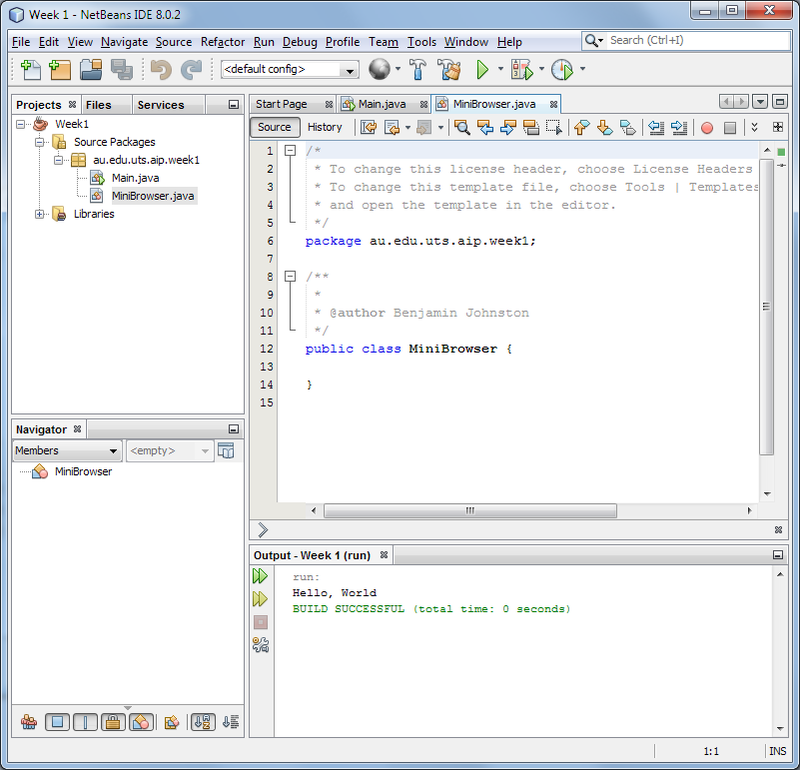 You're now able to run and write code in NetBeans. If you are using the lab computers and you get an error in red text that says "Xlib: extension GLX missing on display :0.0", you can ignore it. Now that you can get Java to show HTML, for the remainder of the activities, we will attempt to generate HTML code with Java. Now, we'll make some changes to the body of the main method. This means that you will be deleting the code that says MiniBrowser.show("<h1>Hello, World</h1>"), and replacing it with new code. Ok! So the plus sign adds two (or more) strings together into one big string. Adding a number to a string causes the number to be converted into a String, and then the two strings are joined together. Why did it only count from 1 to 4 (rather than counting to 5)? Copy-and-paste it into NetBeans and see if you guessed correctly. Can you write code with a for-loop that tests the 6 heading levels in HTML (i.e., <h1>,<h2>,<h3>,<h4>,<h5>,<h6>)? In HTML/CSS, colors can be expressed as a hash followed by 6 hexadecimal numbers (e.g., #88ff22). Run it to see what it does. Hints: There are ten different colors. You should use another for-loop. 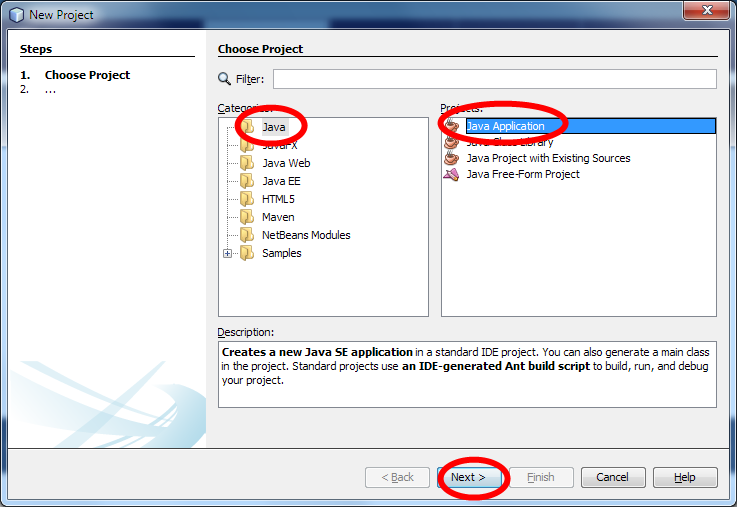 In this activity, you will make use of classes to improve the design of your code. 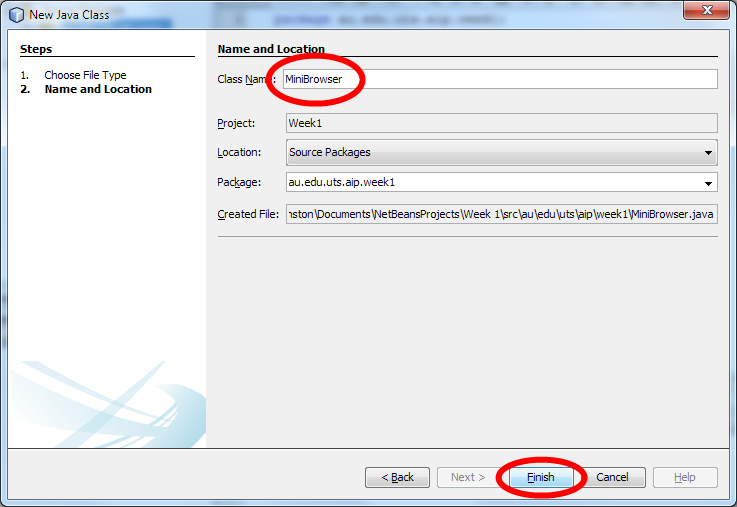 Right click on the package au.edu.uts.aip.week1 in the current NetBeans project. Can you guess what will happen? Can you explain what this code does? 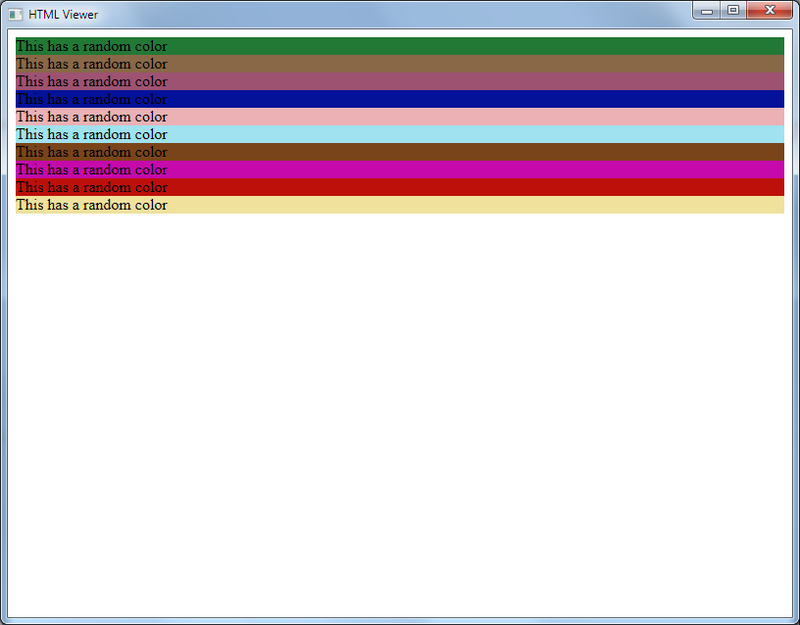 Can you use the RandomColorGenerator class and the ColorView class to output ten different colors? In other words, can you use these new classes to produce the same output as last time? Can you create a Person class that will produce the following output? 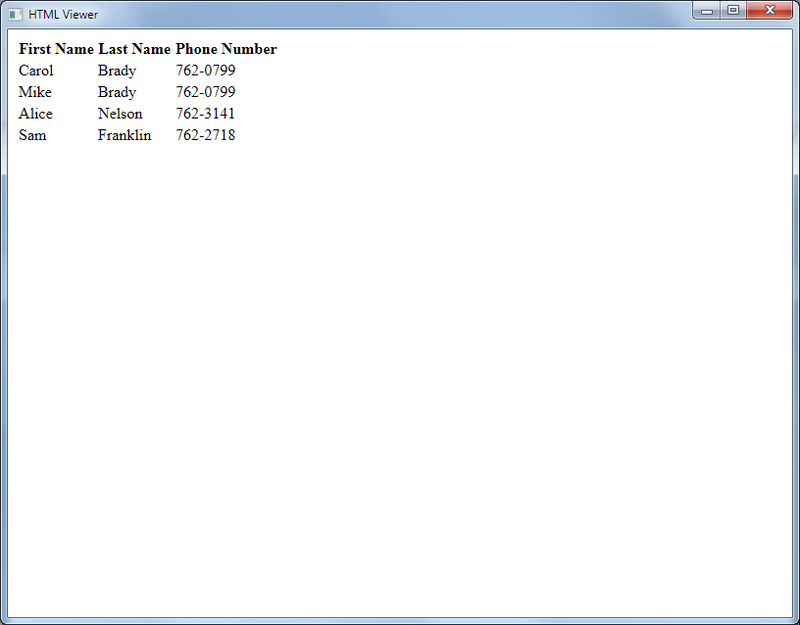 Can you write a class called AddressBook that will get this code to compile correctly and work?